for $429,000. This building was built in 1967 on a lot size of 1.31. 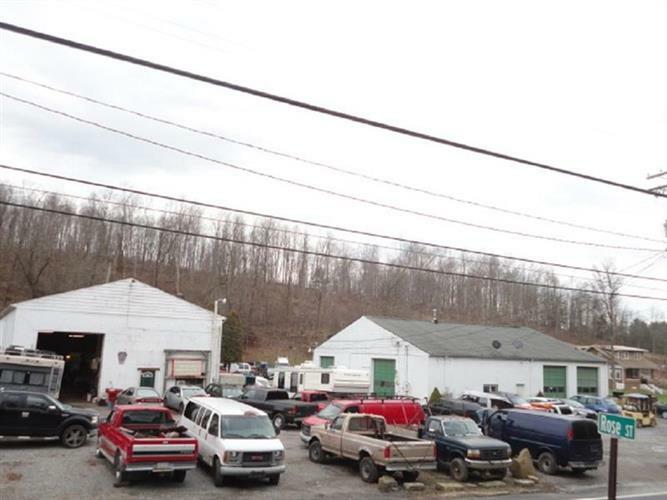 Auto repair shop or car detailing dream!!! Building one (554) is a 4, 875 square foot block construction building with five garage door entrances (8x11.5, 8x11.5, 10x11.5, 10x11.5, 8x11) with a rear painting area currently separated from the rest of the building. There are also two half bathrooms located in the building and a studded area for an office.Building two (558) is a 4, 400 square foot block construction building with three garage entrances (10x14, 8x10, 10x12). Ceiling height is 15 feet. Newer electrical panel and three phase capability. Included in this building is a finished office along with two half baths. Additionally, behind and attached is a three bedroom two bath apartment located in the rear. Plenty of parking in front of the buildings as well as parking and storage behind the buildings.